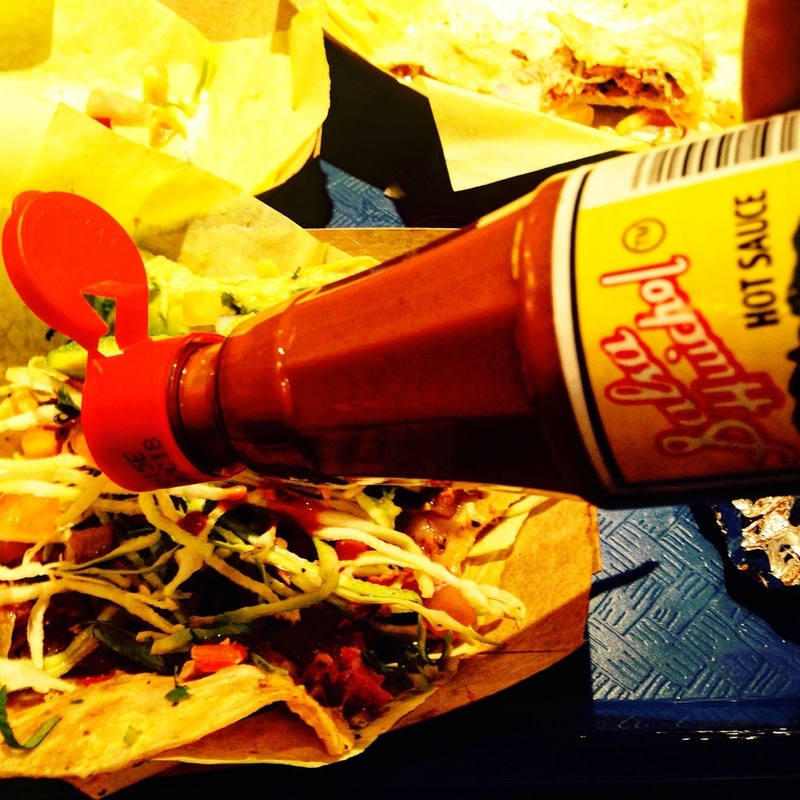 Surrounded by bountiful waters and just north of the border, San Diego is America's premier spot for fish tacos. And now, there's a new restaurant conveniently located in the popular Gaslamp Quarter right near the convention center. Oscar's Mexican Seafood has opened a fourth location of their popular restaurant at 927 J Street, where it's surrounded by bigger but far less compelling venues. I had the chance to stop by tonight, and even the locals were just discovering the spot, which only opened three weeks ago. Fresh is the watchword here. Jovan Barajas, the amiable young man who helped me order, told me all the fish is chosen in the morning from the fishmarket. Because nothing is ever frozen, sometimes your battered fish tacos may have a different filling depending on what looks good off the boats. The battered fish taco tonight had yellowtail; mild in flavor and firm fleshed, the fish stood up to the crunch coating and was sensational nestled among shredded cabbage, onion, tomato and cilantro that were all heaped into a fresh corn tortilla. When offered a choice of scallops or octopus Taco Especial, I had to say, "both." But, truth is the delicate sweet baby scallops edged out the quite tasty and well prepared octopus in my estimation. Yet each "especial" was married with a creamy, smokey fish that was a great counterpoint, as well as crisp slaw and thick slices of ripe avocado. When I thought it was over, Jovan asked if I might try the ceviche. I opted for the fish over shrimp, and was soon in love. Firm strips of mahi mahi were singing in tangy lime juice, with chopped cilantro, tomato, and red onion. These were served with a pair of tostados. This new location has a sleek decor with copper pendant lamps and stark white walls, but the cool is warmed by cherry-stained wooden plank tables and a concrete floor finished in a dulce de leche brown. Field flowers sweetly sit in mason jars next to bottles of hot sauce. It's a great looking new restaurant that's sure to be considered a go-to place for freshest fish tacos in the Gaslamp Quarter.